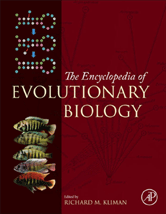 As an authoritative work covering the whole field of evolutionary biology, this book provides a fully comprehensive review of the field in an easy to search structure that is an ideal reference for students and professionals alike. Aging: Why Do We Age? Animal: What Is an Animal?